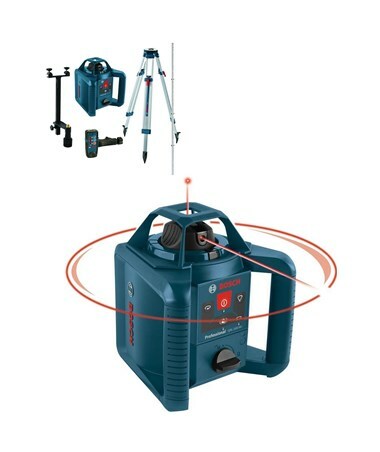 Ideal for handling any indoor and outdoor applications, the Bosch GRL 245 HVCK Self-Leveling Rotary Laser offers both horizontal and vertical self-leveling to handle most general construction tasks. 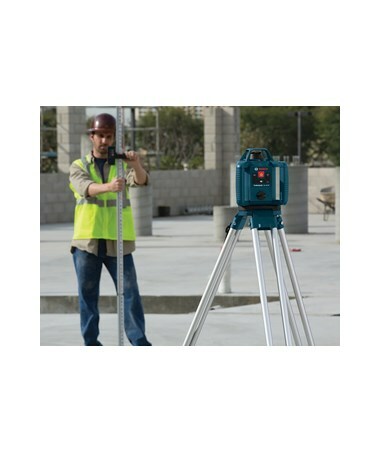 It has a range up to 200 feet without a laser receiver and up to 800 feet with a laser receiver. 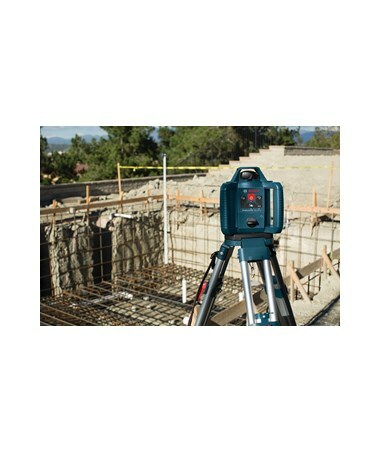 This Bosch laser is self-leveling within ±5 degrees and offers an accuracy of ±1/8 inches at 100 feet. This automatic digital level usually takes 15 seconds to find its level. 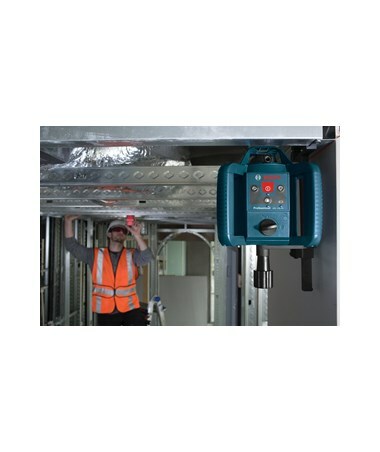 Also, The GRL 245 HVCK offers several rotation speeds of 150, 300 or 600 rotations per minute. Plus, it has three scanning angles of 10, 25, or 50 degrees. 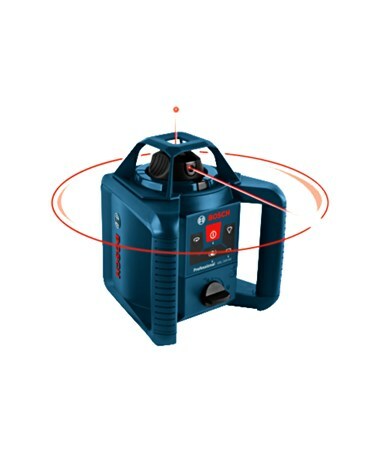 This rotary laser gives an out-of-level alert when the laser is out of range. 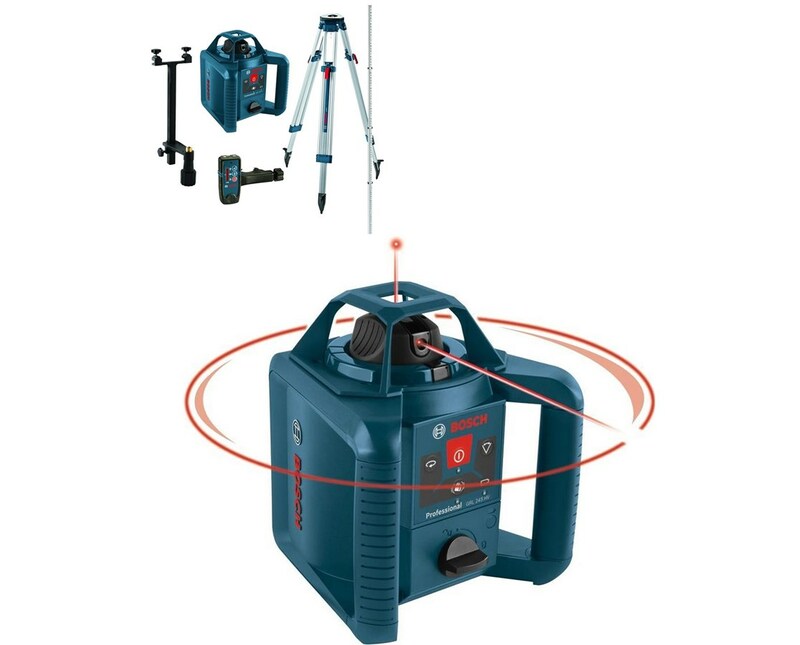 Using powerful alkaline batteries, this Bosch laser can operate up to 50 hours. It has an auto shut-off function for saving battery life. 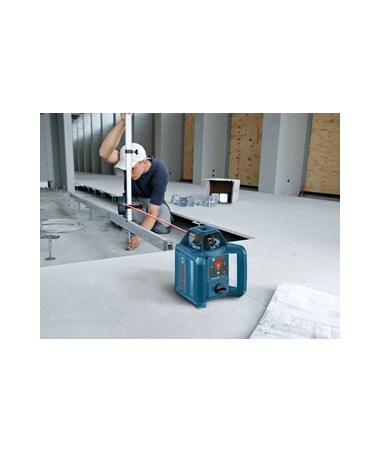 With an IP54 rating, this construction laser is dustproof and water resistant. 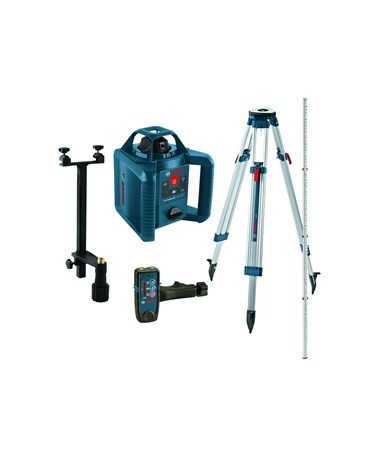 As an extra feature, it comes with a 5/8-11 tripod thread and has an operating temperature of 14°F to 122°F which can endure harsh environmental conditions.